The question of what exactly we are working towards when we talk about nature in the city has been bothering me for some time now. 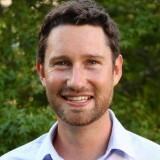 I work as a research fellow in conservation science at RMIT University, Melbourne, and much of my time is spent working on challenges to do with minimizing negative impacts on biodiversity in urban landscapes. As I have interacted with researchers and practitioners from around the world, I have become increasingly aware that the types of urban ‘nature’ that we are passionate about promoting can vary significantly. Although we use the same terms (such as ‘biodiversity’ or ‘conservation’), the range of meanings we interpret can be very different. So what are these different kinds of urban nature, and can they exist together? I present here four brief sketches of urban nature, as a way of highlighting contrasting approaches to how nature is understood and promoted in different settings. These approaches are (i) conserving habitat, (ii) restoring composition, (iii) promoting function, and (iv) designing for people. While these approaches are not mutually exclusive, the examples below serve to illustrate the breadth of ideas and actions that fall presently within the mission of enhancing urban nature. On the western outskirts of Melbourne lies a four hectare patch of grassland. 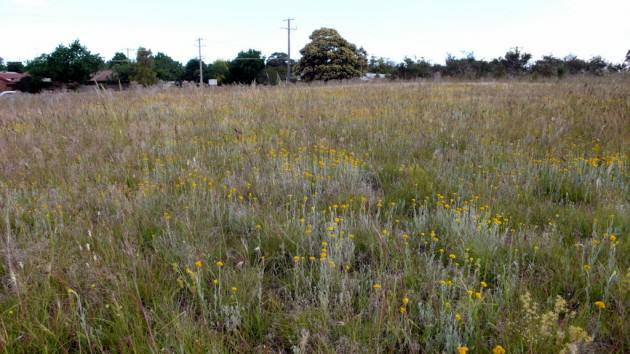 Evans Street reserve was originally quarantined from residential development as a railway reserve, and has since received conservation protection because of its significance as an example of the endangered basalt plains grassland ecosystem (less than 1% remains as a result of agricultural use and residential development). Some plaques have been set up at the edge of the reserve to communicate to the public that it is home to threatened flora and fauna and should be valued and protected. The importance placed on these areas reflects a habitat conservation approach to urban nature. Generally, this approach considers rare and threatened habitat as most important, and human activity as a process that threatens the persistence of ‘unspoilt’ nature. Conservation planning principles, which have been developed to efficiently design reserve networks, are taken and applied in an urban context (these principles include comprehensiveness, adequacy and representativeness; Pressey et al 1993). This approach is most prominent in new world cities where intense human impacts upon ecosystems are relatively recent, such as in Australia and South Africa (see Cowling & Pressey, 2003; Gordon et al., 2009). It is common in Australia for local councils to invest significant resources in restoring the ‘health’ of remnant vegetation that has undergone some kind of alteration in floristics. Teams of bush regenerators remove ‘weeds’ or undesirable species in order to let the original native species return from the seed-bank. Where this does not happen, local species grown from ‘local provenance’ material are planted. Often the sites targeted first are the most degraded (e.g. overgrown with vines) and conspicuous to the passing public. These activities reflect a paradigm that considers urban nature to be at its best when it resembles the ‘original’ (pre-European) habitat most closely. 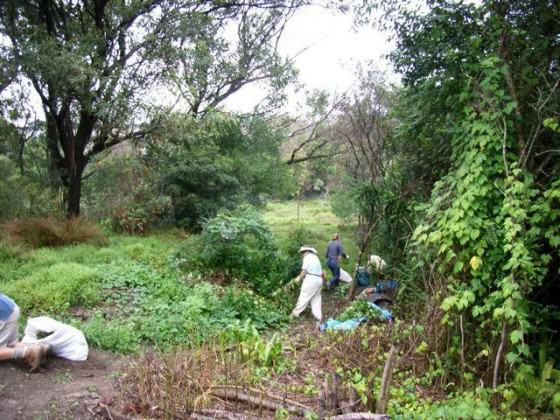 These restoration activities are also common in many other parts of the world where some form of remnant vegetation exists, such as urban greenways in the USA. While activities may occur in priority endangered ecosystems (those prioritised in the habitat conservation approach above), they can be are undertaken in any patch of vegetation irrespective of threat status, due to their local rather than regional significance. During a recent visit to the UK, some colleagues and I visited the Sheffield Botanical Gardens. Our guide, Dr. Ken Thompson, showed us a series of small ‘prairies’ of mixed herbaceous species. Designed by Professor James Hitchmough (known for creating the man-made wildflower meadows at the 2012 London Olympic Games), these were praised for their alternative visual appeal (e.g. the diverse combination of flowers), while also promoting ‘wild’ and ‘unkempt’ characteristics that attracted pollinators and enabled natural ecological functions. Dr. Thompson informed us that while some local residents were unhappy that certain species were not local to England the project demonstrated that ecological function does not rely on our arbitrary categories of ‘native’ and ‘exotic’. The type of urban nature that is being encouraged is therefore one that can support natural processes, regardless of what actually exists there. This focus on ecosystem function contrasts with the paradigm of restoring composition discussed above as less importance is placed on species identity. Processes such as pollination, nutrient cycling and carbon sequestration are of supreme importance, with the assemblage of species existing as a means to these ends. The functional approach is perhaps strongest in areas where original habitats are no longer present, or have been substantially altered by human activity and no appropriate analogue of floristic composition can be found. For example, I observed this recently during a field trip to Schöneberger Südgelände, an abandoned railway yard in Berlin, where our guide Professor Ingo Kowarik highlighted the importance of the successional processes occurring in a stand of exotic maple trees. In August this year I visited Singapore and observed examples of green infrastructure. 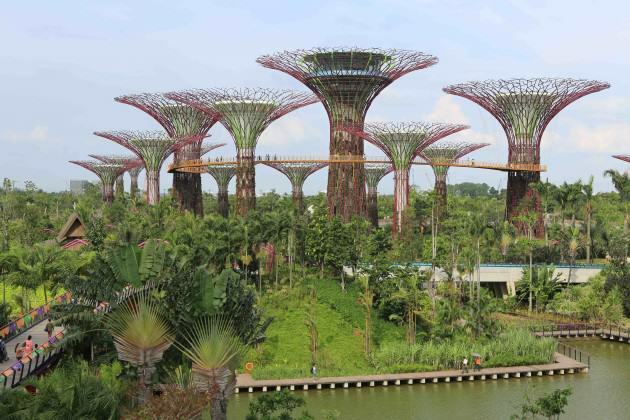 While significant areas of the city have been ‘greened’ since the introduction of the Singapore Green Plan in 1992, the most visually striking example is grove of ‘supertrees’ in the Gardens by the Bay. These man-made constructions up to 50 meters tall are covered by vegetation and resemble the shape of large trees. They demonstrate how integrating green features into the city can enhance wonder and awe and be therapeutic for urban dwellers. Cities from all around the world contain examples of urban nature that have been designed primarily for human appreciation, such as designed garden beds, green walls and landscaped walking paths. This approach sees urban ecology (both the composition of species and their function) as a means of enhancing the lives of city dwellers, and there is a great deal of literature documenting the health and wellbeing benefits of interaction with green spaces and ‘nature’. Typically the importance the designing-for-people approach to urban nature is greatest in densely populated cities. Given this diversity of understandings of urban nature and how it is to be promoted, two questions immediately come to mind. First, is it possible for all these expressions of nature in the city to fit together in some coherent way? And second, given the enormous differences in context, how can planners, managers and designers decide what appropriate goals are for promoting urban nature? A useful way to navigate this difficult territory is to consider the placement of a site of interest along an urban nature continuum using a series of biophysical axes, and apply a number of decision-making filters (see the graphic below). 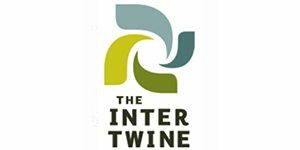 Doing so can help unify the wide-ranging approaches to urban ecology under a single coherent framework. While urban nature outcomes are invariably influenced by multiple stakeholders, the merit of this approach is in its ability to assist those with a desire to promote urban nature to discern what is appropriate in a given context and to set goals accordingly. Three axes can help to characterise a city. The first axis is the urban-rural gradient. As dozens of studies have shown, biodiversity patterns differ according to the intensity of urbanisation surrounding it (see McDonnell et al., 1997). Just as different assemblages of species are found at different points along the gradient, so must the biodiversity goals differ between an urban core and a sparsely inhabited peri-urban landscape. For example, some species that can reasonably be promoted on the fringe of the city may not survive in the inner CBD regardless of effort. The second axis is the temporal gradient. Older cities (such as many in Europe) have a longer history of human disturbance, and have influenced the ecology accordingly. Evidence has shown that the age of a city affects local species richness and extinction rates (Hahs et al., 2009). Therefore, maintaining a certain habitat composition may be a more appropriate goal in younger cities than older ones. The third axis is the biophysical context of the city. Obviously, a city positioned in a tropical biome (e.g. Singapore) should have very different goals to one position in an arid zone (e.g. Phoenix), purely as a result of biophysical opportunities and constraints. Understanding the biophysical character of a city might assist in knowing what is achievable, but it does not determine the appropriate objective. To get to this point, it’s necessary to apply a number of additional decision filters. First, the scale of the action must be evaluated. The sorts of targets being set will differ greatly depending on whether the biodiversity of a city as a whole is of interest, or that of a neighbourhood park. 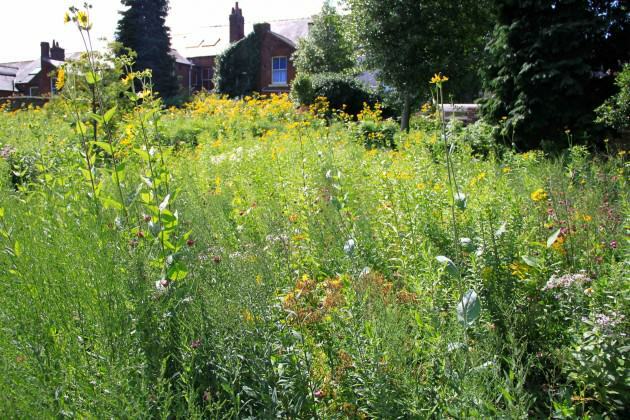 For example, conservation planning principles that evaluate the importance of the landscape for endangered species are unlikely to be of much use when determining species selection for a new municipal garden. Second, the social context of the site must be considered. This includes the city itself (such as the level of development, cultural context) and the position of the site within the city (such as socio-economic status). For example, cultural expectations of neat and tidy parks may mean that areas of urban ‘wilderness’ may be unachievable in heavily trafficked parts of a city. Third, the social-ecological balance must be established. Although there are many benefits to people of enhancing urban nature, biodiversity conservation does not always align directly with human wellbeing. For this reason, the priorities need to be set clearly. For example, if human wellbeing is of primary importance, promoting green infrastructure such as green walls may be justified, even if there is little evidence of their contribution to overall ecosystem function or habitat to native species. Similarly, excluding public access to a nature reserve on ecological grounds may be inappropriate in an economically depressed part of a city with little access to green space. Setting clear goals for urban nature is a difficult process, and the application of hard and fast rules are likely to over-simplify the challenge. It is necessary therefore that researchers and practitioners understand the context of their work along the urban nature continuum so as to set objectives that are both appropriate and justifiable. By using the guidelines presented above (characterising the biophysical context of the city and applying the decision filters) it is possible for diverse activities such as conservation planning, habitat restoration and urban greening to be understood as different aspects of the same mission. In this way, none of the examples presented in this article are necessarily more or less ‘correct’ than another. 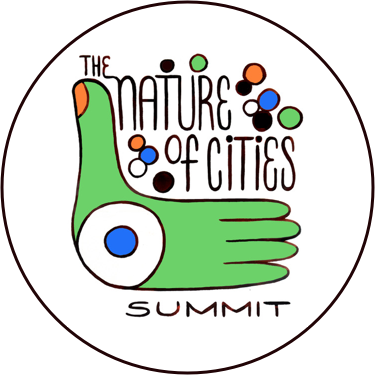 This shared understanding will be critical for communicating the achievements, challenges and future directions of promoting cities as ecological spaces. Cowling, R., & Pressey, R. (2003). Introduction to systematic conservation planning in the Cape Floristic Region. Biological Conservation, 112(1-2), 1–13. Gordon, A., Simondson, D., White, M., Moilanen, A., & Bekessy, S. A. (2009). Integrating conservation planning and landuse planning in urban landscapes. Landscape and Urban Planning, 91(4): 183–194. Hahs, A. K., McDonnell, M. J., McCarthy, M. A, Vesk, P. A, Corlett, R. T., Norton, B. A, Clemants, S. E., Duncan, R. P., Thompson, K., Schwartz, M. W. and Williams, N. S. G. (2009). A global synthesis of plant extinction rates in urban areas. Ecology Letters, 12(11), 1165–73. McDonnell, M. J., Pickett, S. T. A., Groffman, P., Bohlen, P., Parmelee, R. W., Carreiro, M. M., & Medley, K. (1997). 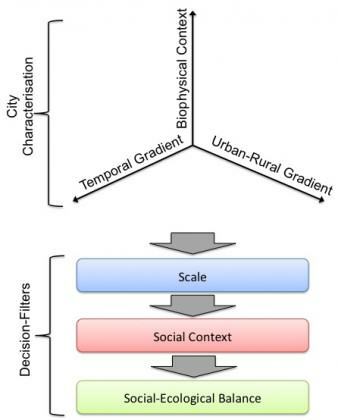 Ecosystem processes along an urban-to-rural gradient, Urban Ecosystems. 1: 21–36. Pressey, R.L., Humphries, C.J., Margules, C.R., Vane-Wright, R.I., Williams, P.H., 1993. Beyond opportunism: key principles for systematic reserve selection. Trends in Ecology and Evolution. 8: 124-128. It so very beautiful garden because the surroundings is evergreen , nice view. While the context is important to define well, I think you hit it on the head when you wrote it is the priorities that need to be clearly stated, as the priorities are underlaid by values, and it is ultimately values we are fighting about. In Australia, it seems to me that the dichotomy between natural/native-at-all-costs versus urban-plants-as-furniture is so strong, it is difficult to see beyond it and create truly urban environments. Thanks again for your time and your post. Thanks for the question Odile. I see the context of a site as key to identifying which goals are appropriate to pursue. The decisions that this can assist with are generally about where resources should be invested and what kinds of activities are suitable in different places. In the context of a university campus, landscape planners might wonder about which areas to protect for their ecological values, what tree species to plant and how to provide for the needs of staff and students. For example, in areas with high levels of human traffic, it may be unreasonable to expect high levels of ecological function to be maintained in vegetated patches because of edge effects and trampling. The aesthetics and shading benefits of vegetation may be of more importance here. Conversely, if there are patches of remnant vegetation remaining on the site, recognition of the ecological history of the area would make intense development nearby unsuitable. Thanks Chris for this post. I like your three axes model, and the addition of scale in the filters. This model is an excellent way to describe the particular context of a city/site. However, I do not quite get how you would apply it as a decision-making process. Could you give an example or 2? I am particularly interested as my University campus is poised for a large urban development over the next 2 decades, and design constraints over land uses will be crucial in determining the urban ‘nature’ of the site in the future.